Serena Williams may have lost the final in Doha to Victoria Azarenka, but Serena’s ascent to the world no. 1 ranking is an achievement for the ages. Serena came to Doha not fully fit, which would have made her withdraw in many other cases. But her new-found commitment to the sport means she not only showed up, but fought hard – coming from 1-4 down in the final set to beat Petra Kvitova in the quarters, the win that sealed the no. 1 ranking for her – making her the oldest woman to be ranked no. 1 in tennis history. Is there a better way to lose your no. 1 ranking than to beat the player who takes that spot away from you? Azarenka’s win over Serena was important from so many angles – the win was just her second in 13 matches against the American, and after that close US Open final, the WTA could finally have the one top rivalry that it has been missing. Azarenka also kept her winning streak alive in 2013 at 14-0 (she started the year 2012 with 26 successive wins). And it gives her a realistic chance to reclaim the no. 1 ranking this week in Dubai. There’s something truly pleasurable about watching a 34-year old oft-injured player who should have been past his prime, continue to defy the odds and remain relevant in a sport as physical as tennis. 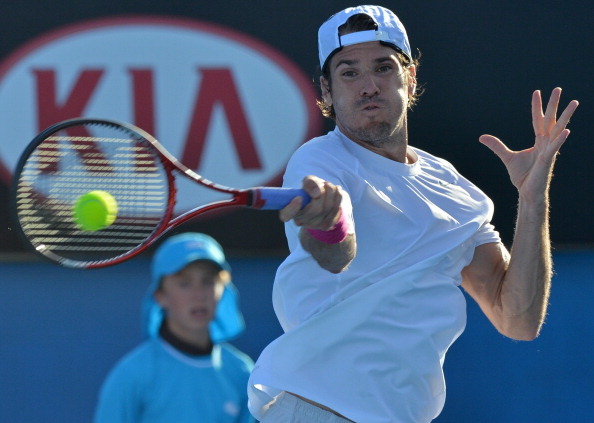 Haas reached the finals in San Jose, beating American John Isner along the way, and is now back up to no. 18 in the rankings. The German says he is enjoying the fact that his daughter can see him play and win, and still harbours hopes of winning a Grand Slam title (although he realizes how unlikely that is). Compare that to the attitude of 30-year old David Ferrer, who is ranked no. 5 in the world, but feels that he may never be able to reach a Grand Slam final, and you realize just how important self-belief is in the sport. There’s no stopping the Italian sisters. Errani and Vinci won the loaded Doha doubles event – their third title in row this year and their 16th overall as a team. The two have become the most formidable team in women’s tennis over the past year, and they even showed that they had the game and the guts to beat the Williams sisters. If the sisterhood does not crack, the two could be a top doubles team for years to come. Two weeks into his comeback and Nadal has won his first title – but it came at the low-key Brasil Open in Sao Paulo where the Spaniard was the only top 10 player. Nadal is still far away from playing top 5 tennis – not surprising when you consider that he was out of action for 8 months. The Spaniard dropped two sets in the early rounds against journeymen, but rebounded well to beat Nalbandian in the finals in straight sets. The expectations continue to be set low – with Nadal saying he hasn’t decided if he will play at Indian Wells yet. On this kind of form, and if his knee continues to hurt him, perhaps Nadal should consider skipping the Master Series events in Indian Wells and Miami. 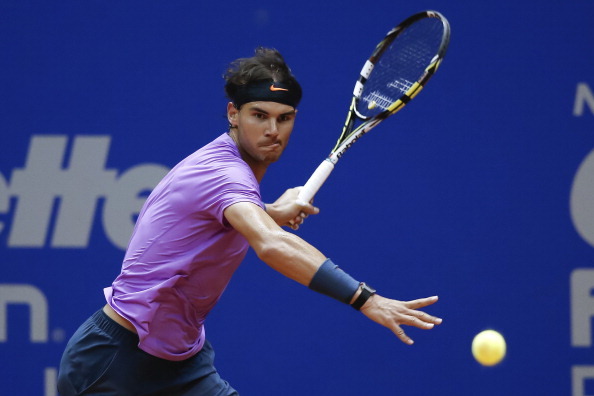 The switching of surfaces and the pounding of the hardcourts may be too much too soon for Rafa. The big serving Canadian lived up to his seeding this week in San Jose – beating German veteran Tommy Haas to win the SAP Open for a third year in a row without losing his serve all week. But Raonic’s efforts manage him only a B grade star. There’s something to be said when the best young hope in men’s tennis has yet to reach the semi-finals of a Masters series event or the quarter-finals of a Grand Slam. The Argentine won his 14th career title in Rotterdam, beating the Frenchman Julien Benneteau in the finals. Del Potro’s consistency has returned, but he needs to make a move fast in order to break out of the Berdych-Ferrer-Tsonga company and re-establish himself as one of the Grand Slam contenders. Both losing finalists this week and both 31 years old. Nalbandian was playing in his first ATP event since August, and proved that when he’s healthy, he remains a dangerous opponent. The problem with the Argentine is that as soon as he starts winning a few matches, his body breaks down again. Benneteau must be wishing the ATP had an indoor event every week in Europe. After beating the 17-time Grand Slam champion in Bercy in 2009, the Frenchman stunned Federer again this week in Rotterdam. Benneteau backed it up by reaching the finals, but failed for the eighth time in his bod to win his first career title. 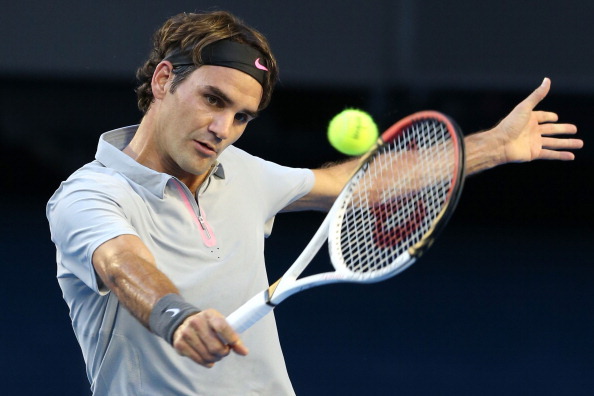 The chances to win an ATP title may not come around too often for him given his age. But I fathom that many players would be happy retiring with 2 wins over Federer. In his first outing since the Australian Open, Federer was beaten in the quarter finals by the 31 year old Benneteau in straight sets. This is just the kind of event Federer should be winning easily. With Dubai, Indian Wells and Miami coming up, Federer will need to come up with better play to ward off Andy Murray from the no. 2 ranking. The two have played their part in creating the WTA’s Big Four, but now need to step it up if they wish to create the same kind of excitement as the men’s Big Four brings about. Both reached the semi-finals in Doha as expected, and both once again failed to beat the top 2. Radwanska lost to Azarenka for the seventh time in a row (all in the last 15 months) while Sharapova lost to Serena for the 10th time in a row (Sharapova last beat Williams in 2004). You would think the law of averages would turn the result in their favour one of these days. But it hasn’t happened yet, and you have to wonder if Azarenka and Serena have not occupied a front row seat in these girls’ heads. It’s been a while since Caroline Wozniacki made the headlines for her tennis. These days, the Dane is in the spotlight mostly for her romance with golfer Rory McIlroy. And this week, the Dane came off looking shabby when her father Piotr started screaming at the chair umpire for a call that initially went against his daughter. The chair umpire reversed the call and called for a replay. The father-daughter duo may have won that battle against the chair umpire, but between this and the usual tongue lashing in Polish during coaching breaks in matches, the Wozniackis are losing in the public goodwill department. In recent weeks, the ATP has come off on the wrong side on several issues. With the 125-year old SAP open losing its residence in San Jose, the terrible court conditions at the Brasil Open, the refusal to let Indian Wells increase their prize money and the constant threat of player boycotts, we could be headed for a bigger showdown!